This A3 has to be seen and driven to be appreciated, and with under 5,000km on the odometer, it truly is a gem! 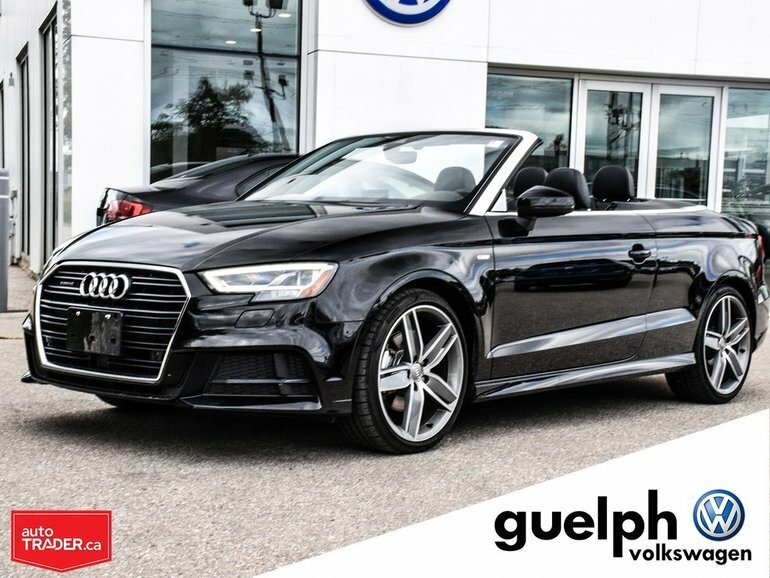 The best part about this A3 is that it’s not just an A3... It’s an A3 Technik Cabriolet with the added S-Line package and Quattro AWD! It may be a mouthful but all of that is worth it for the exceptional driving experience that this vehicle offers! Not only are you surrounded by luxury and endless amenities you are propelled down the road by a powerful yet efficient 2.0 Turbo engine in summer or winter safely with the infamous Quattro AWD system powering all four upgraded 19” wheels. 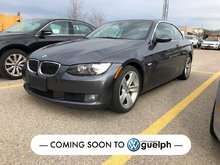 The leather seats under you, the Leather Wrapped Steering wheel in your hands and the Soft-Top Convertible roof above your head (Which opens in under 18 seconds by the way) is the only way you’ll be able to drive anymore. LED Daytime Running Lights, Taillights and Headlights. Pop-up Centre Infotainment screen, 12” Digital Cockpit with Navigation, Paddle Shifters, Full Power Seat, Push Button Start, Keyless Entry and so much more! Interested by the 2018 Audi A3 Technik S-Line ?